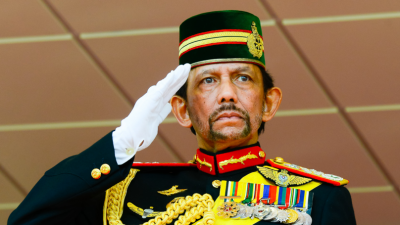 Western countries are up in arms over the conclusion of Brunei’s phased adaptation of Islamic law which will controversially see homosexuals and adulterers stoned, much to the consternation of human rights activists across the world. Hollywood celebrity George Clooney, known for his involvement in Darfur and Syria, is hopping on the bandwagon and trying to lead the charge among those who want to boycott Brunei-owned hotels, add some so-called “star power” to this issue and therefore attracting hefty Mainstream Media attention to his new pet cause. For as off-putting as the Sultanate’s new sharia standards may be for many people, the “inconvenient fact” is that the country has the sovereign right to govern itself however it sees fit, so Clooney and others are technically trying to meddle in its domestic affairs just like they falsely accused Russia of doing in the US’ own. It’s true that international protest movements can gain a certain degree of political moment in today’s globalized world, especially if the targeted state in question has business interests that could potentially be boycotted in Western countries where such movements are most popular, but there’s little chance that Brunei will backtrack on its sovereign decision to implement Islamic law. The oil-rich but ultra-tiny state strategically positioned off the northern coast of Borneo along the southern shores of the South China Sea probably won’t see any decrease in the number of countries trying to court it after this controversy, and it could always replace those that does with others who want access to its resources and location badly enough that they’ll ignore this issue. After all, most of its partners are Asian countries anyhow who ordinarily don’t get involved in these sorts of heavily politicized affairs. It should be pointed out, however, that the UK maintains a base in Brunei that could become the focal point of protest activity back home or in the US, with activists possibly seeking to pressure London to pull out of the facility until Brunei reverses its stance on sharia. That campaign probably wouldn’t succeed, however, since these same human rights and democracy activists haven’t been able to get the UK to stop supporting Saudi Arabia in its much more brutal War on Yemen, so trying to get the country to pull out of this strategic outpost along the southern shores of the South China Sea is likely doomed to fail from the get-go. Even so, it’ll be interesting to watch how Brexit-mired Britain attempts to deflect any renewed criticism of its foreign policy in that respect and whether this further erodes its soft power.